GitHub - nroduit/Weasis: Weasis is a DICOM viewer available as a desktop application or as a web-based application. Want to be notified of new releases in nroduit/Weasis? 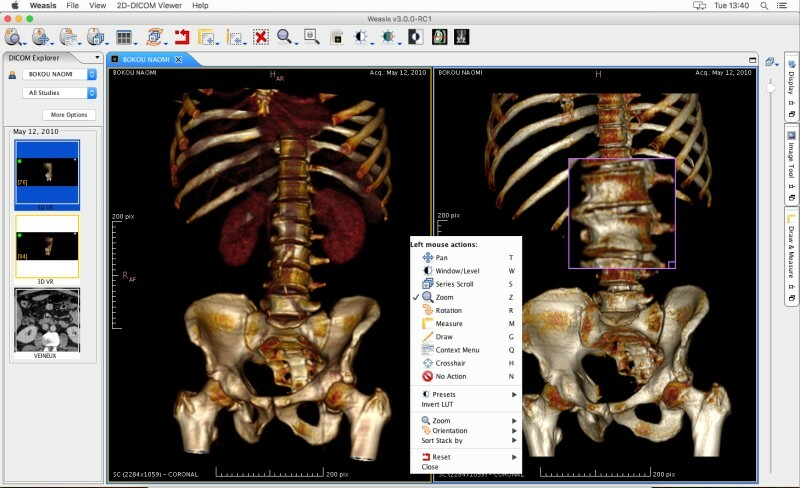 Weasis is a free medical DICOM viewer used in healthcare by hospitals, health networks, multicenter research trials, and patients. The master branch contains Weasis 3.x.x (requires Java 8+) and the old branches are 2.5.x, 2.0.x (Java 6+) and 1.2.x (Java 6+). Can be configured with very low memory footprint. Do not require modern hardware.